Web-start.org belongs to the Adware/ShortcutHijacker family and presence of this browser hijacker modifies your installed browser’s shortcuts in order to using itself as your default home page. Once it is installed on your computer, it scans your browser’s shortcuts and alters them without your permission. After modifying the shortcuts it will include the argument like http://web-start.org/?ssid=[timestamp]&a=[number]&src=[source]&uuid=[uid],[number] to them so that the Web-start.org site is opened every time you launch your browser. It is an infection that stealthily enters into your computer so it is important to check the license agreement details before installing any software program. You need to be very attentive if you are installing any application from third-party sites. As far as possible, don’t download anything from third-party sites or the links that directs you to malicious sites and links. Because whenever you install something from third0-party sites, the program that you are installing does not disclose if any other software is also attached with it or not. Therefore, it is your responsibility to read the license agreements and installation screens when you install anything off the Internet. It is rather a safe idea to choose Custom or Advanced installation options if an installation screen offers you the choice. Because choosing Custom or Advanced installation options will typically disclose if any third-party application will be installed along with main software program. Cancel the download immediately if installation screens and license agreement says that any unwanted adware or toolbar may get installed with it. Web-start.org browser hijacker installation forces your browser to use itself as a homepage even though you haven’t requested to do so. Once you got this infection, it is very difficult to get rid of it and require specific removal tools to remove it. So for your help, there is a guide below that will guide you to clean the affected shortcuts and remove the hijacker. 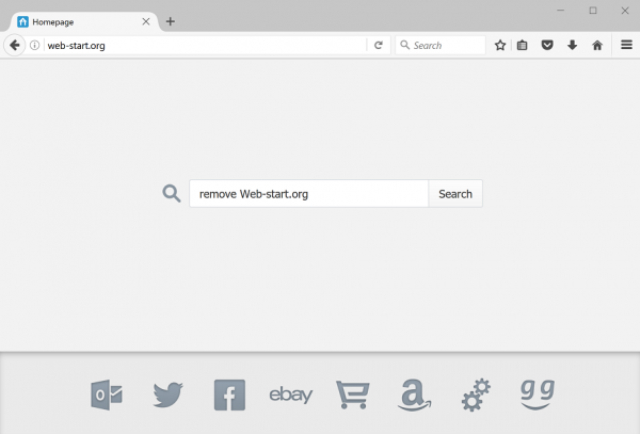 There are two ways to remove Web-start.org browser hijacker: one is automatic removal using software tools and another is self-help removal guide given below. Ask the help of experts if you are non-tech person and using the manual way to remove Web-start.org browser hijacker. There are two ways (manual and automatic) to remove Web-start.org browser hijacker from your computer and browser. Manual process is quite tricky task so if you are not experienced seek the help of experts. However second method is an automatic process that is fast, easy, and equally efficient. To remove Web-start.org browser hijacker from your computer and browser, buy an anti-virus program, as it will remove the infections automatically. defencebyte AV pro is such an application that is reliable in doing all this for you in a few minutes. The only tasks you need to start is scan process to find the infection. Once the infection is found, it will ask you to delete it. Below all the steps are given to download defencebyte AV pro and scan your system to find and delete Web-start.org browser hijacker. 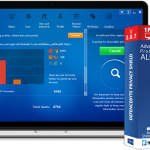 Download and install the defencebyte AV Pro first. Cross check that you have picked the right version for your Windows System. Choose a convenient location to save the file. Windows will prompt when the download will be completed. Click on Run button to start the program or browse the location of the folder and double click on the file defencebyteAVPro_.exe. Accept the terms to continue the remaining process. Perform the scan on your computer to find plug-ins, add-ons, harmful programs, and other malicious entities linked to Searchgra.com. Further, implement the on-screen instructions to continue with the removal. Click on the option Uninstall a Program. Find Web-start.org browser hijacker and click on Uninstall. Open the Menu then click Search. Click Apps and then Control Panel. Now like Windows 7, click Uninstall a Program under Programs. Find Web-start.org browser hijacker, select it and click on the Uninstall button. Press the Windows key or click on the Start button to open the Start menu. At the top, there is Settings option click on that. On the left menu, click on App & features. Find Web-start.org browser hijacker and click on it, then click on the Uninstall button. Note: If you are not able to find required program, sort programs by date in Control panel and find out last installed programs. Once you find Web-start.org browser hijacker, remove it from your browser. Push down the Alt + F keys together. Click on the option Tools and then select Extensions. Click on the Trash icon to remove it. Push down Shift + Ctrl + A keys simultaneously. Click on the Disable or Remove button. Push down Alt + T keys. Click on the option Manage Add-ons. Now choose Toolbars and Extensions. Click on the option Disable Web-start.org browser hijacker. There is a More information link in the left-bottom corner, click on that. Perform alternative steps, if this button is grayed out. Click on the Chrome menu (3 bar button) in the top right corner. Access the Reset browser settings section and click Reset browser settings. Click Reset option that appears in the dialog. Click on the Reset Firefox button. Open Internet Explorer on your computer. Click on the Internet options there. Put a check mark in the checkbox near Delete personal settings.